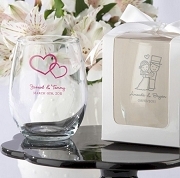 Make a special occasion out of asking your girls with our Will You Be My Bridesmaid Something Blue 15 oz. Stemless Wine Glass! In an elegant blue, and holding a whole 15 oz. of wine, one of the most important questions you're like to ask your girlfriends is displayed on a keepsake they'll be able to use for years to come. 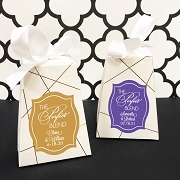 Sold in sets of 4, these make brilliant asking gifts for bridal parties large and small! 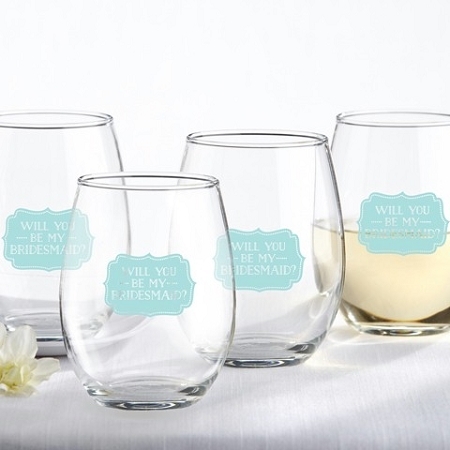 Set of 4 stemless wine glasses featuring an elegant blue frame design with "Will You Be My Bridesmaid" in white.